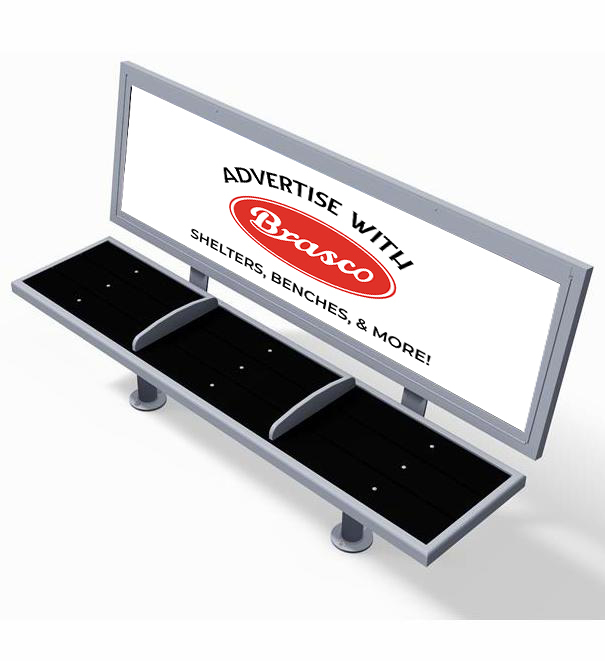 Brasco’s advertising bench complements the Eclipse streetscape furniture collection with its clean lines and top-of-the-line quality. 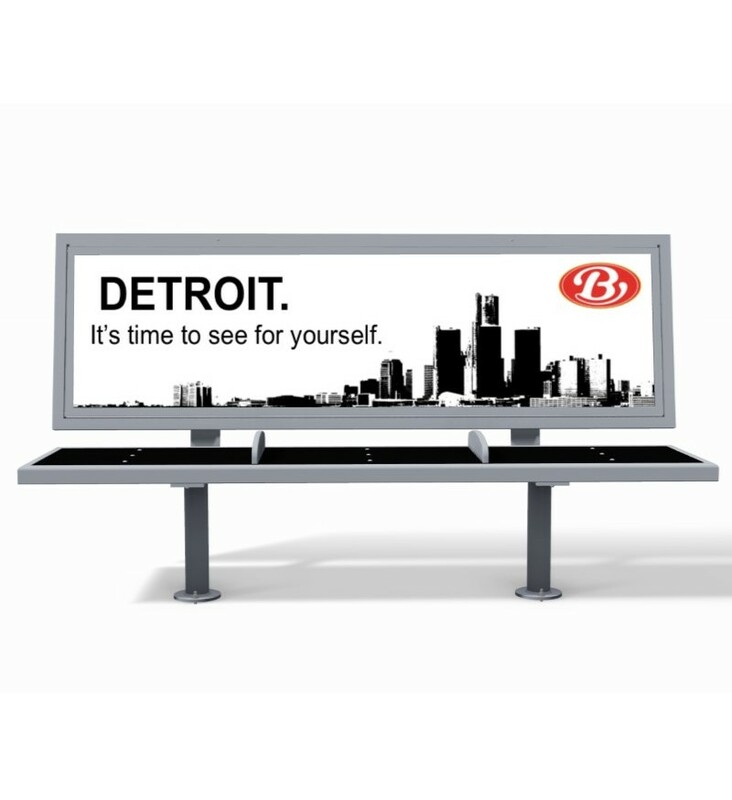 Advertising panel backrest is 7 ft. wide by 2 ft. tall, and is available with perforated aluminum or HDPE slat seating. Options include aluminum seat dividers, HDPE color of choice, and standard powder coat color. 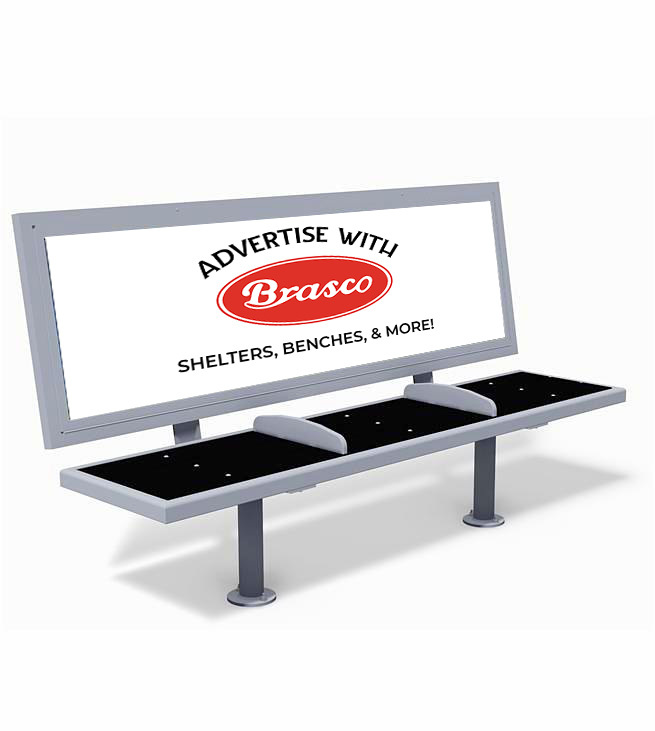 This bench is delivered mostly assembled and offers tamper-resistant media access.